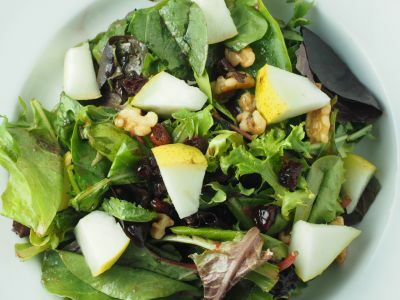 Pear and walnut salad with raspberry vinaigrette comprises field greens, pears, walnuts, dried cranberries and a light coating of a raspberry vinaigrette dressing. It is based around a salad served at Cafe Brasil in the Montrose in Houston, TX. The ingredients are pretty much the same but I put a different spin on the dressing to make it my favorite. If you are ever in the area I encourage you to stop by and try this. Great salad served in a very casual setting and on a beautiful March day you can sit outside on the patio and take in the sights and sounds of Westheimer. 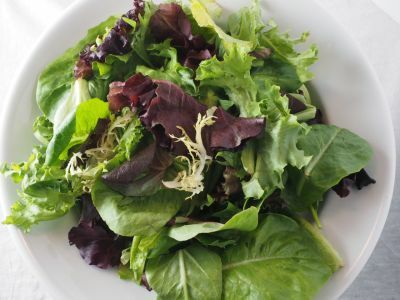 Mesclun, as defined in Webster's Dictionary, is "a mixture of young leaves from different plants (such as different types of lettuce) that is eaten as a salad." The beautiful salad greens pictured above came from Wilson Farm in Lexington, MA. A place I love to go and just wander, although if you are there you will buy something for sure. Great vegetables and the quality and freshness are unsurpassed. You could actually eat these greens right out of the bag like potato chips and be perfectly satisfied but when combined with the flavors and textures of the fresh pear, walnuts and dried cranberries, this recipe is a real treat. 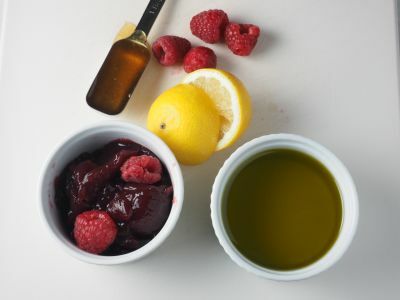 And the dressing explodes with raspberry flavor combined with the strong tang of lemon juice to bring it all together in a most satisfying way. 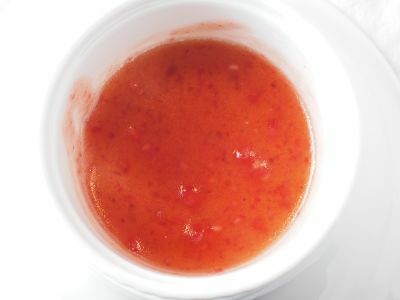 This is a salad dressing that in a pinch you could add a couple of shots of vodka and serve it as a cocktail! Yes, it's that good. It's simple and quick to prepare so give it a try. Enjoy! 1. 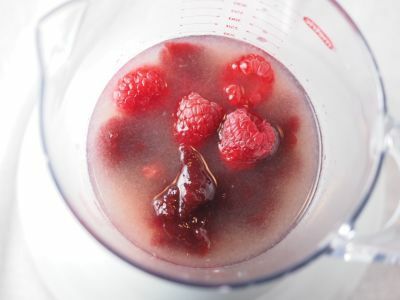 To make the dressing, add the honey, jam, raspberries and lemon juice to a container and whisk together to mix. Add the olive oil and whisk to thoroughly combine. Taste and add salt as needed. I like to add a few twists of very fine freshly ground black pepper but this is certainly optional. 2. In a separate large bowl, add the greens and toss lightly with enough dressing just to coat. Do not overdress this salad as the greens are somewhat delicate and you will end up with a wilted mess. 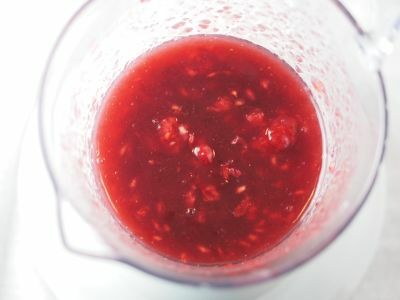 If you are making this for a large number of people, you can add the pears, walnuts and cranberries to the greens, lightly toss, and then serve out of a salad bowl on a buffet. 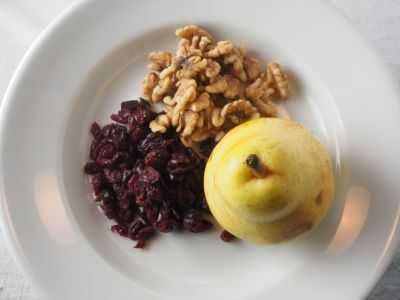 If you are serving individual plates I like to plate the dressed greens and then top them with the pears, walnuts and cranberries and serve it immediately. Look forward to trying this one out - what a colorful and tasty looking salad! Thanks for sharing. I really like the site and find it very informative. What a great idea. Can't wait to try this combination. I love pears and think it will be great with the walnuts and dried cranberries. Great site. This post is really helpful as I was just trying to find a recipe for a really nice, and different, dinner salad. Thanks and keep it up. Great pics also!